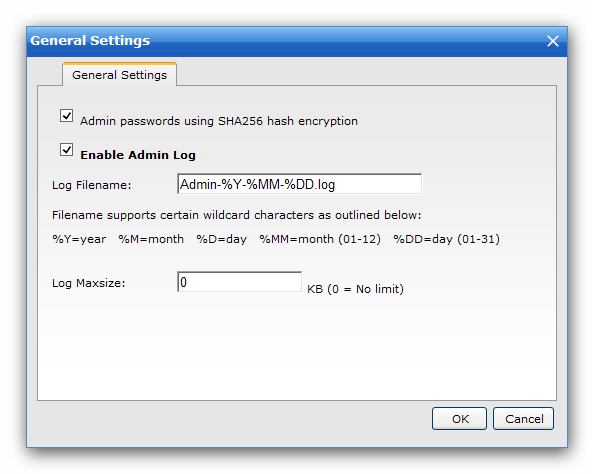 Here you can configure settings for admin log. Check this box will save administration log information to the file specified in the Log Filename. The log file will no longer be written in when it reaches the limit you set here.